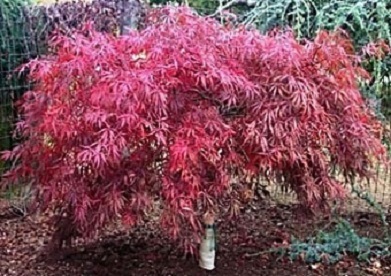 Rich, crimson new leaves mature to purple-red and maintain their color even in the hot, humid summers. Bright scarlet-red fall color. Broadly mounding habit with cascading branches.